My lifelong friend and college roommate, Meredith, recently got engaged and will be married within the year. I'm sad to see her exiting the Spinsterhood Ranks, but I suppose I'll survive. Maybe. 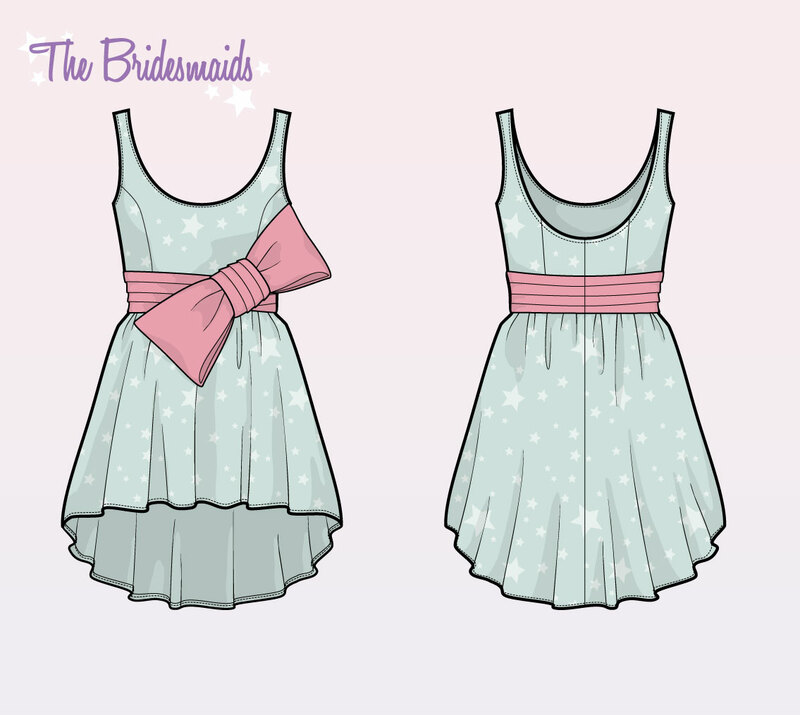 Now, we all know there are plenty of wedding dresses out there, but since Meredith and I lived together, ate Chip-a-licious cookies together, and made dance videos together, I thought I'd whip up an extra special design for ol' Mere. 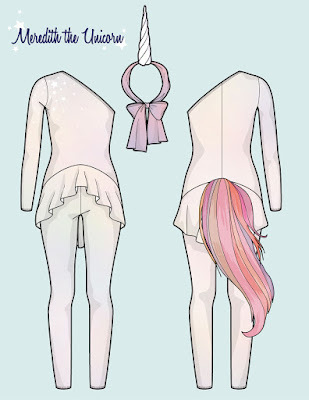 So, without further ado, I present you the Unicorn Wedding Unitard. Made of High-shine, high viscosity Nylon/Spandex jersey, this one-sleeved Unitard is sure to make Meredith's wedding one of a kind. The raw edge circle cut pitched peplum makes this unitard trend-right, while the single sleeve keeps it appropriate for an October wedding. 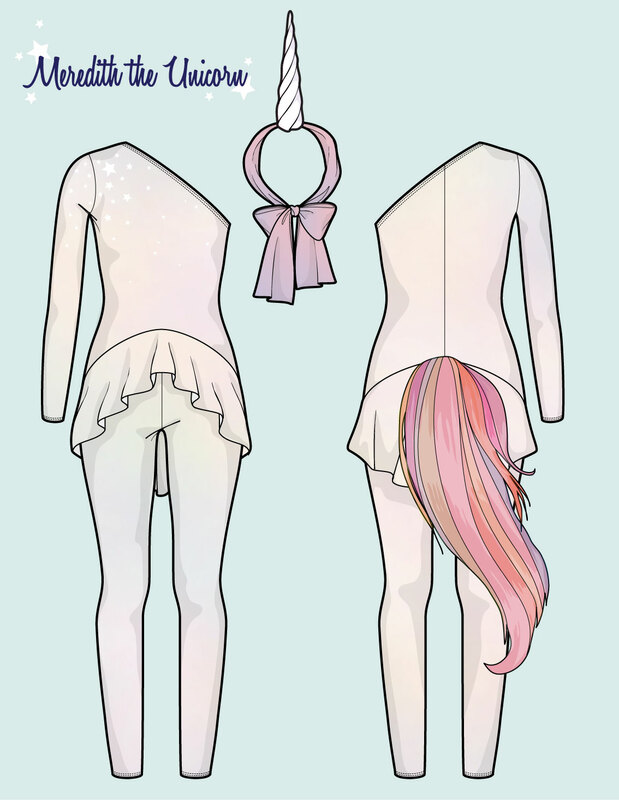 The tail is glossy faux horse hair in an array of rainbow colors to match back to the subtle pastel ombre of the unitard's body and the white star detail at the shoulder. For the finishing touch, every unicorn bride should have her very own Alicorn head piece, complete with a nice fluffy bow. For the bridesmaids, I have designed a complimentary dress in a star print to match the star motif at the unitard's shoulder. I decided to go with a more traditional sleeveless scoop neck body so as not to detract from the bride in all her unicorn glory. The cummerbund-style waistband and oversized bow hearken in color back to the bride's luxurious tail and reference the Alicorn head piece's fluffy bow. 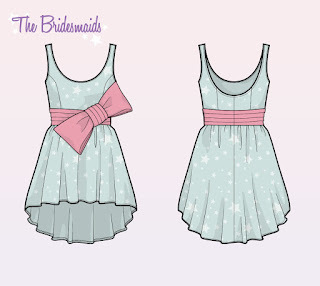 Clearly, this is a dress the bridesmaids will wear again and again and again. Mostly they will because I designed it. Well, Meredith, there's no need to thank me. I know you are overwhelmed with the beauty of your wedding unitard. The good news is I think it'll be fairly easy to have made with all the places to buy fake hair of any color in Sumter or Columbia, South Carolina. This pretty much guarantees your nuptials will be the wedding of the century.